If you are unable to donate time, materials or money, there are still other ways to get involved with AFA activities! Intern: You may be someone with a special education background and have an open mind. Perhaps you are a student who wants to complete an internship, as required by your college or university. 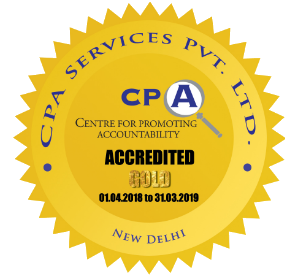 We have a long history of having worked with people from around, from a wide range of disciplines including experienced special educators, parents, newbies interested in autism and students from a range of universities and colleges, including Amity University, National Institute of Mental Health (NIMH), National Institute of Public Cooperation and Child Development (NIPCCD) and many more. Depending upon your interest and a mutually convenient time, we customize hands-on, supervised training opportunities with our experts in any of our programmes. To read more about these programmes click here. Corporate Movement: AFA has been very fortunate to have received the support of both Public Sector Undertaking and Private corporate houses. Needless to say, AFA could not have continued in its journey of *providing quality services to the autism community and *in its endeavour in ensuring a life of dignity to this largely misunderstood and marginalized section of our society without the support of the corporates who have helped us over the years and continue to help us. The corporate houses who have supported AFA include Apollo Tyres, Unitech, Bharat Gears, Raunaq International, PEC Ltd, GAIL (India) Ltd, STC Ltd, Reliance Foundation, BhartiAirtel, CAF Foundation, Smile Foundation, Millipede Foundation, the Irish Embassy, Hans Foundation and many others. 1. Contribution towards our corpus fund. 2. Contribution for specific projects like computer education, art & craft training and so on. 3. Provision of building materials for construction of buildings at discounted prices. 4. Monetary help through payroll deduction/ payroll giving. 5. Contribution towards construction of part or whole of a building. 6. Contribution towards specific tasks undertaken during construction of a building such as survey of land, site development, construction of the boundary wall etc. 7. Sponsor of therapy sessions for a specific period for a child with autism. 1. Adopt a programme such as the ‘Open Door’ or the ‘Parent Child Training Programme’ (PCTP) for a period of one year or more. 3. Adopt a child or adult with autism for a period of minimum of five years and meet their therapy and training expenses. Your contribution will have a tremendous ripple effect, since each child helped is a family and the immediate community being helped. That is a miracle worth making happen. Please do help! Aadhaar products: We try to keep a keen focus on design and aesthetics, and competitive pricing, with regards all the products made at Aadhaar to ensure customer satisfaction. The products made at the AVC include woven woolen scarves, handmade greeting cards, folders, notebooks, door chimes, key rings, coin purses, trendy jute bags, mobile phone covers, paper bags, gift wrapping paper, gift tags, handmade jewellery and seasonal items like rakhees, diyas and Christmas decorations. Bakery products: The AFA bakery unit provides individualised trainings to young adults based on their strengths, abilities and interests. This includes making a variety of bakery products like cakes, cookies, baked savouries etc. in a sheltered environment. The unit also offers a range of allied tasks suited to other work skills, including measuring, counting out items, packaging, sealing, labelling, maintaining inventory, ordering raw materials, listing, collecting and receiving and delivering orders etc. The young adults also receive training in operation machinery safety. Hygiene and quality standards are strictly maintained at the AFA bakery and all the staff, including the youngsters with autism, adhere to the same. If you would like to place orders, please Contact us. You can make a difference in the lives of people with autism and their families by participating in research or surveys and contribute to the understanding of autism. All projects are approved by the AFA IRB before being posted.